What's The Fastest Station Wagon Of All Time? 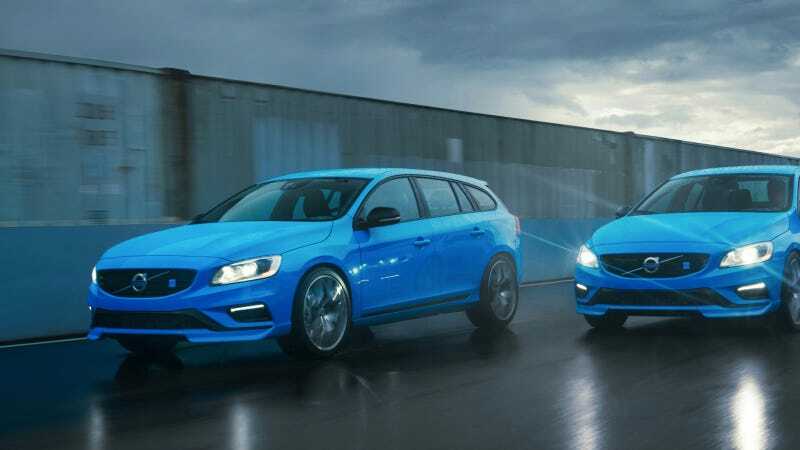 The oh-my-god-that's-gorgeous Volvo V60 Polestar we saw today, that's going to be a real thing next year, continues the tradition of Volvo wagons with an extra dab of power. With 0-60 in 4.9 seconds and a top speed limited to 155 mph, it's damn quick. But what are other faster, quicker wagons? I think the Mercedes E63 AMG Wagon is one of the fastest/most fantastic wagons ever made. The dealership in Santa Barbara I used to drive by a lot always seemed to have a couple in stock, and one of them was brown. It was a beautiful thing, probably so beautiful that no one thought they were worthy enough to own it, which is why it was at the dealer for a very long time. So, come on, name them. Audis, CTS-Vs, Ferrari? Whatever. Name the wagon, the 0-60 and the top speed and let's see where all of the crazy fast wagons ever made rank.